8 Florida Limestone Artificial Reefs measuring 8 feet tall. Deployed on 14 Oct 2016. Verified by MBARA diver Bob Cox 14 Oct 2016. The structures are clustered together at 20-30 feet apart. This reef was constructed under FWC Grant 15158 with funds from the Natural Resources Damage Assessment Phase III. 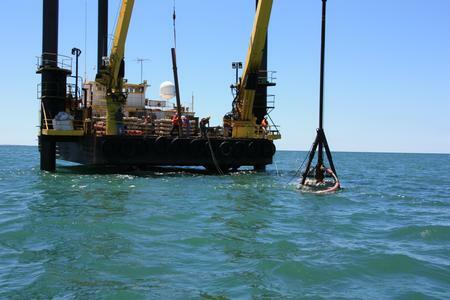 Two piling mounted Ecosystems added on 2 May 2017.